USBs power virtually everything. Laptops, tablets, cameras and cell phones all get charged by USB cords and/or adapters that often get tangled or worse, lost. 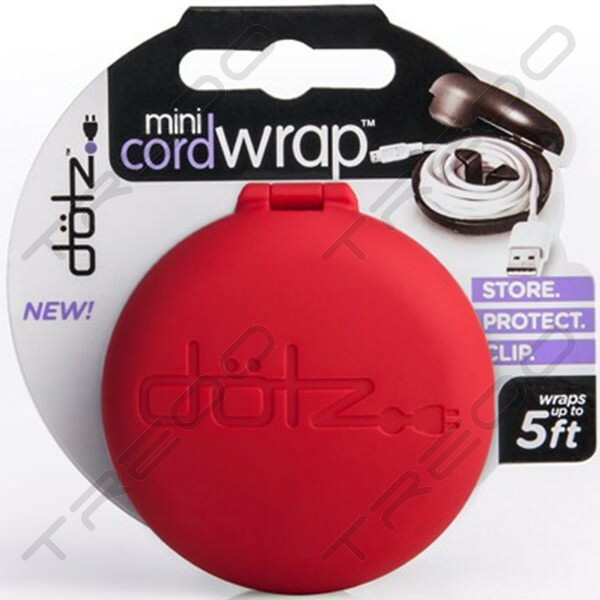 The Mini Cord Wrap lets you store them for travel or just shorten them - up to 5 feet in length - to keep them with you. Students to CEOs will appreciate the belt clip that attaches (it's also detachable if you are too hip!) to your case, pocket, bag, strap when on the go. Even shorten electrical cords in the home or office to keep them tidy and off the ground - perfect for electric toothbrush, razor, desk or tabletop lamp, computer mouse, phone, toaster or other appliance cords. Just wrap the cord around the spindle and snap it shut. The soft-touch finish on the Mini Cord Wrap offers an attractive matte, velvety smooth surface for a confident grip when wrapping.